We find that the proxies do not predict temperature significantly better than random series generated independently of temperature. Furthermore, various model specifications that perform similarly at predicting temperature produce extremely different historical backcasts. Finally, the proxies seem unable to forecast the high levels of and sharp run-up in temperature in the 1990s either in-sample or from contiguous holdout blocks, thus casting doubt on their ability to predict such phenomena if in fact they occurred several hundred years ago. They cite the various MM articles. This entry was written by Stephen McIntyre, posted on Aug 14, 2010 at 11:59 AM, filed under Uncategorized. Bookmark the permalink. Follow any comments here with the RSS feed for this post. Both comments and trackbacks are currently closed. Can I say ‘verified’ and ‘Q.E.D.’!? well… can ya? BTW, how’s the audit of this paper coming along? Everyone knows you can’t get statistical “skill” without the bristlecones – did they consider that ? Haha! of the preceeding year, rainfall, etc), or with some combination, then it is pointless to construct and evaluate 1000 year old reconstructions. I am still going to re-read this lucid report and await any updates. Wow. Great. This is really important. These are serious statisticians and it’s a good journal. Amusing to see they are from Pennsylvania! To me climataology is “we know AGW exists, now find the matching models”. Halle-bloody-lujah. It’s about time statisticians took a detailed interest in the scientific kludge that is proxy thermometry. Steve has been the lonely voice in this field for years, has single-handedly carried the fight for honest audits to the very core of the field, and has bravely withstood the resulting vicious opprobrium that has disgraced science. So, hats off to Blakeley McShane and Abraham Wyner for standing up with Steve and taking up the rescue of scientific integrity. Until now, apart from Edward Wegman, it has been sorely neglected by their colleagues. Agreed Pat. All I’d add is that Steve’s voice has been made less lonely by the terrific community here at Climate Audit. Never has something as humble as WordPress been used for something so significant. Every constructive critic and online supporter should consider some of the glory from the Annals of Applied Statistics as duly reflected on them today. It’s telling that Steve only knew of this from one of CA’s followers. I salute every one of you, friends. about time they/somebody of their calibre chipped in. Pat, about ten years ago, former Australian Statistician and past-president of the international statisticians’ union Ian Castles discredited the economic modelling on which the IPCC’s scenarios are based, working with former OECD Chief Economist David Henderson. Some of the IPCC staff initially welcomed the critique as helping them get to the truth, higher levels then pulled down the shutters, the discredited modelling was never revisited. While head of the ABS, Castles was a major player in getting international agreement on appropriate national income statistics, which reflect those developed in Australia. International comparisons are based on “Purchasing power parity” – adjusting monetary values in terms of what can be purchased to enable international comparisons. The IPCC’s modellers – who are not specialists in this field – did not use PPP. The models had some ludicrous results – e.g., in some scenarios, South Africa’s national income in 2100 exceeded world income in 1990, the start date. After growth was (incorrectly) modelled, assumptions were made about the emissions-intensity of growth. These assumptions have proved to be far too high, but have never been corrected by the IPCC. I was going to send the paper to Castles, I’ve just discovered he died two weeks ago. A sad loss. Natural climate variability is not well understood and is probably quite large. It is not clear that the proxies currently used to predict temperature are even predictive of it at the scale of several decades let alone over many centuries. Acute constipation is always best worked out with a pencil. This is a beautiful paper. Simply beautiful. This is not harshly worded but it is very harsh. The paper is listed as submitted. Does that mean anything more than the paper is done and the authors are hoping it will pass peer review? A reasonable question. It does appear that it’s at least been through the review process. Acknowledgements. We thank Editor Michael Stein, two anonymous referees, and Tilmann Gneiting for their helpful suggestions on our manuscript. No. “Submitted” is professor talk for “has been mailed to journal for review.” There is no implication that the paper is or will be reviewed or will be accepted. I was a P&T chair a a major university for 10 years or so, and junior, untenured faculty were enamored of this word. It does indicate effort, but it does no indicate achievement. None-the-less, a very interesting paper. When I go to the web site of the “Annals of Applied Statistics” and look under the category of “next issues”, this paper shows up. I am not familiar with AOAS. Does “next issues” merely mean submitted but not neccessarily accepted papers? So what is it about “two anonymous referees” that is confusing me? John, the paper is downloaded from the website of the Annals of Applied Statistics. Their web page indicates it is to appear in an upcoming issue. The implication is the paper has now been reviewed and accepted for publication. Thanks Paul. I was just tweaking Bob Sykes a little. Great to see a comment from you. It’d be nice to see more of them, since they’re always highly informative, though I guess isotopes haven’t come up for a while. It will be interesting to see how the team reacts to this, but it is a harsh blow to the hockey stick. Well, not exactly. The lead author says in his CV that he expects to get his PhD in May 2010. Wyner is his supervisor. Curiously, for his thesis he lists not just a thesis advisor, but also a “marketing advisor”. The journal website lists it as to be in the next issue. Sounds like accepted. The web page referred to can be found here. The journal is one of a number published by the Institute of Mathematical Statistics (IMS), a high class outfit. it would have been peer reviewed in a meaningful fashion. They’re not climatologists!!! And don’t they know that if they’re going to criticize proxies they first have to make up their own proxy? Any chance of some Team member still “going to town” to keep this from being actually published? I doubt it! From the Climategate emails, we know that they have had undue influence in journals particular to their own branch of “science.” However, I really doubt if they will have any influence over this particular journal. “The panel found that the statistical tools that CRU scientists employed were not always the most cutting-edge, or most appropriate. “We cannot help remarking that it is very surprising that research in an area that depends so heavily on statistical methods has not been carried out in close collaboration with professional statisticians,” reads the inquiry’s conclusions. David Hand, president of the UK Royal Statistical Society and a member of Oxburgh’s panel, said the work of climate scientists is a “particularly challenging statistics exercise because the data are incredibly messy”… He said the strongest example he had found of imperfect statistics in the work of the CRU and collaborators elsewhere was the iconic “hockey stick” graph, produced by Michael Mann… Hand pointed out that the statistical tool Mann used… produced an “exaggerated” rise in temperatures over the 20th century, relative to pre-industrial temperatures. That point was initially made by climate sceptic and independent mathematician Stephen McIntyre. The upwards incline on later versions of the graph has been corrected to be shorter and less exaggerated (for the full story of the hockey stick controversy, see Climate: The great hockey stick debate, and Climate myths: The ‘hockey stick’ graph has been proven wrong). They not only cite them, you and Ross get more citations in the refernces than anyone but Mann et al. Congratulations to Steve and Ross. and are free from major errors. – Difficult-to-read articles often contain major misconceptions or significant errors. I found the original Hockey Stick paper extremely difficult to read. Thank God the deficiencies in MBH98 and all that followed it have now be made obvious, in a most fitting place. Regardless of the content of the paper, it’s nice to see academic statisticians paying attention to the topic. Inerestingly, you can hunt down the first author’s CV on Google Scholar. Check out the first hit and the hosting web site. Let’s hear it for Penn State! Did I miss something? Blakeley B. McShane hails from Northwestern University and Abraham J. Wyner from the University of Pennsylvania, a completely different institution and not one to be confused with Mann’s employer. We’re referring to the site that has his CV. See the link I posted. That’s what I missed; that Penn St. hosted his out of date CV. According to the title manuscript, Blakeley is now at Northwestern. The ‘hosting website’ of the first hit for McShane on Google Scholar – his CV – is Penn State, the host being citeseerx.ist.psu.edu. CiteSeerX looks like a pretty general service. A coincidence that may not signify a imminent reversal of the institution’s defence of M. Mann, I grant you. But I agree with John M that it’s a nice touch. Nice paper. It will be interesting to see what Gavin, Tamino, and the UEA inquiry keystone kops, can come up with to attempt to deal with what appears to be a turning tide. Second careers in the exacting world of Feng Shui consulting are beckoning. It will be ignored because it is not in an ‘offical’ climate journal. We will treated to lectures on why only climate scientists are qualified to determine what statistical analyses are valid for paleo data. We will also be told that since they did not show the MWP exists it does nothing to refute the claim that MWP did not exist. I’m sure that some will say that only ‘official’ climate journals count, and the authors will be criticized, but it seems to me that some nasty cliquey pseudoscience has been afoot, but happily that is now slipping into the past. Climatology will be the better for the experience – even if climatology is forced to admit that statistics is a superior science. I posted on this paper at Tamino and Romm. Both posts disappeared within an hour. But Voltaire also said, “a witty saying proves nothing” :p.
Feng Shui consultant, equally useless but pays more. regime change in the relation between temperatures and proxies. While this is certainly a consistent line of reasoning, it is also fraught with peril for, once one admits the possibility of regime changes in the instrumental period, it raises the question of whether such changes exist elsewhere over the past 1,000 years. Furthermore, it implies that up to half of the already short instrumental record is corrupted by anthropogenic factors, thus undermining paleoclimatology as a statistical enterprise. I suspect that Amman will have something to say, since he appears to have the strongest links/capabilities to respond to the approaches taken by McShane and Wyner. McShane is a brand new PhD!! What struck me in looking at the paper is that these guys had thought very hard about the statistical counter arguments and seemed to have addressed them. The one thing I am less sure about is whether their apparent undifferentiated treatment of all the proxies is a problem. They included for example Tiljander, presumably as oriented by Mann. processing performed by climate scientists meets the standards of their discipline. This is a perfectly reasonable position for statisticians to take, especially when they are savaging the statistcs. They always say a savaging is best served cold. Never let it be said that the scientifically and statistically inclined lack a sense of humor. I understand their assumptions, but that does mean that this assumption will not be used to limit the import of their conclusions. It would be difficult to challenge the paper’s stated assumptions without undermining the team’s own work in so doing, such is the positioning of Wyner & McShane’s paper. I do agree that this is a likely route for them to try, though. But different eyes are on the stick this time, and I don’t anticipate that Mann’s creative/inventive statistical techniques will charm this audience. Yes – read Bishop Hill! And another “Mc” to boot. Forecast calls for 100% chance that the the thumb screws are being turned as we speak. The question is will they be successful? This might be a case where being successful might be more damaging to their cause than failing. You don’t just smack down top end talent with a track record with out raising some eye brows. If the paper gets flushed with out an actual serious flaw being found, it will definitely pop up some where else. And the brew haha will make people even more curious. Won’t happen – different discipline, and one with an obvious distaste for amateur maths. Acknowledgements. We thank Editor Michael Stein, two anonymous referees, and Tilmann Gneiting for their helpful suggestions on our manuscript. We also thank our colleagues Larry Brown and Dean Foster for many helpful conversations. I’m not able to find the supplementary material at http://www.imstat.org/aoas/supplements/default.htm. Has someone else found it or is it only supplied when the paper is published? Since it’s the last article listed at http://www.imstat.org/aoas/next_issue.html I suspect the SI hasn’t been uploaded yet. We all know the reaction will be “they are not climate scientists”. I do think, though, that this marks a turning, oops “tipping” point. The fact that McShane only got his phd this year is interesting, as that means he will have been taught the very latest thinking in statistics. Abraham Wyner, Associate Professor, Department of Statistics, The Wharton School, University of Pennsylvania. PhD in Statistics from Stanford, followed by a NSF Post Doc Fellowship in Mathematical Sciences at Univ. of California, Berkley, from 1995-1998. Basically, these two “substantial” assumptions will likely be future topics for other statisticians to write papers on the Multiple Temperature Proxies. “Free and open” and “replication”, yes. Finally, statisticians starting to work on it ! Nick Stokes will debunk all this in a matter of seconds. Well, it won’t appear in a matter of seconds. My 4.15pm post above is still in moderation at 7.30pm. Actually, I think it seems to be a good paper. Certainly well-written. Not sure everything’s right. Ah well, you never know – this one went straight through. I read the whole thing. Am I to understand correctly that their conclusion is basically that random noise is a better predictor than the actual proxy data? They sure repeated it enough times that the error margins completely engulf all reconstructions done by climate scientists and that it doesn’t preclude MWP or widely diverging scenarios. When I fist saw those reconstructions way back when and noticed the very small changes in temperature compared to the precision of the proxy data, I didn’t understand how they could filter out the noise and be able to get any reliable data that wouldn’t be engulfed in the error bands. Seems like what I remember from stats class wasn’t far off even though there’s no way I could do the analysis found in the linked paper. The uncertainties in the IPCC graphs always looked like pointwise confidence intervals to me, not uncertainty margins. In any case, I found a lot of stuff in there (while beyond my grasp in the analysis) to go overboard to show the obvious. This is with the 30 year holdout blocks. Is there something I’m missing. Is it that bad? You can almost hear the smear campaign being formulated. They will be subjected to all of the same irrelevant and underhanded attacks as Wegman. It won’t budge the faithful, but it will make a difference in scientific circles that acknowledge the dependence of scientific inquiry on legitimate statistical analysis. Whether it will find traction in the popular media is another matter entirely. 1) Deep Climate will go looking for text fragments that have appeared in any publication in the Library of Congress. He will breathlessly report that the words “Bayesian Validation” appear in six textbooks! 2) Eli Rabbett will chime in with a series of weird insults involving nicknames, animals, animals with nicknames, etc. It will be incomprehensible to everyone except him but the amen corner will be ecstatic. 3) Hard to know at this point who will get the marquee “Guest post” at RC to offer the rebuttal, but expect sentences with wild permutations of statistical terms that sound really deep but are nonsensical. – mike will appear only in the comments to offer some slurs based on geography. 4) When all is lost they will turn to Annan as final aribrator and he will offer disdainful comments all around without really engaging the issues at hand. Eli will declare victory with the usual abstruse references to unknown people and animals. Re: Lance (Aug 14 19:37), I think this one goes deeper and they’ll look deeper for rebuttals. My thought is, watch Gerry North and his merry men. This feels very much to me like the coup de grace to the Hockey Stick. I hope Steve and Ross won’t take that as in some way disrespectful to their previous work, as it certainly isn’t intended that way. But one of the things that really needed to happen is that the larger professional academic statistical community needed to engage here and refute the point, long held by the AGWers, that somehow there was a degree of individual personalities involved here in the M&M critques. The broader these critiques become in the academic statistical community, the more untenable that position becomes. Said another way, M&M, taking the slings and arrows of outrageous fortune over years from the climatologists, has finally energized the general professional statistical community into dipping their oar into the situation, and this is a Very Good Thing for all us in the long-run, even the climate modellers, however loathe they may be to admit it in the shorter run. I think Steve&Ross have been waiting for quite a while that other skilled statisticians replicate their work. Now here you have it. Not quite a coup-de-grace then. Also check out page 5. They’ve completely mangled the PCA argument. It gets better later on — some good points about confidence curves for sample paths and the limitations of cross-validation. Yeah but that’s with Tijlander & bristlecones. The hockey stick is about a lot more than whether the 1990s were the hottest decade of the last millenium. It’s the AGWers own brand of denialism to tell themselves that the vast majority of skeptics believe that C02 plays *no* role in warming. The truth is that’s a minority position in even the skeptic community. And btw, “offers support” is awfully weak tea. What’s the confidence level on that? As the climategate emails show, even Briffa was very hesitant about pushing paleo claims to reliable decadal granularity. Personally, I think a combination of insuffient granularity and dating uncertainty across proxies go a long way towards an artificial smoothing of the paleo reconstruction temperature record –but that belief does not require the 1990s to not have been the hottest in the last millenium. yes. damning by faint praise. I know that Gavin does not read ClimateAudit (except at midnight on Easter) but if he has been alerted to this you can imagine the team is already scheming a counter-attack. Since this paper is devastating, their response will be over-the-top aggressive. They have been able to get away with this in past but it will backfire post-Climategate. It was gratifying to see how they took the time to clearly describe the graphical chicanery of the original hockeystick. Thanks for the welcome response. For the record, Blakely just graduated with a Phd in Statistics under my supervision from the University of Pennsylvania (not Penn State!). Congratulations on an exceptionally thorough paper. It would be interesting to hear what the reviewers said and whether you plan on any follow up. I am Penn alumnus and am proud and gratified to see such a cogent and well-written paper emanating from my university. Unfortunately, you and Blakely should now be prepared for much unpleasantness from the creators and worshippers of the hockey stick orthodoxy. Since this has already been accepted, is it too late to make corrections? Page 5 is a bit of a mess, and I’m sure the commenters here could help you fix some of the errors there. Since this has already been accepted, is it too late to make corrections? This highlights for me two key decisions made by the authors. One: assume that climate scientists have been scrupulous in collecting and selecting data. Two: have no contact with McIntyre and McKitrick prior to publishing. In the normal case these two combined would lead one to assume bad news. In this case, genius. Complete independence. Same result. The IPCC and its fellow-travellers made a terrible error of judgement not acknowledging the statistical deficiencies of the hockey stick when first exposed. This is precisely what was needed as a remedy. The problem with “complete independence” is it leads to numerous easily avoided errors. Based on section 3.3 it looks like they haven’t even read some of the papers they’ve cited. That was the third decision if you like (with help from the Annals of Applied Statistics). All looking good to me. Discussants and comment imply accompanying commentary from climate scientists. Perhaps stressing (or overstating) areas of agreement. It may imply climate scientists. It may imply other statisticians. It may even imply a certain ‘citizen scientist’ and his economist friend, a number of whose publications the paper cites. I don’t know and I’m not quite sure how you do. Fair enough, I don’t, i’m just speculating that as their work is based on Mann, invitations for comment will have been sent in that direction. That would be collegiate and promote further debate. Yes, many comments have UPenn and Penn State mixed. If, as some models suggest (primarily those base on solar/sunspot variability on global average temperature) we have several years of cooler temperatures, how sensitive is holdout RMSE to this? It seems, from quick calculations, it would make Mann-like hockey stick models appear even more like seeing signal where the data is indistinguishable from noise. Re: Abaraham Wyner (Aug 14 20:34), Thank you from all my heart for this important work. On the one hand, this is peculiar since paleoclimatological reconstructions can provide evidence only for the detection of AGW and even then they constitute only one such source of evidence. Congratulations to McShane and you on the paper. Your timing of publishing seems good. Do you care to comment on what appears to be an inconsistency in statements made in the paper vis a vis one’s ability to make confident statements about temperature in the 1990s versus other decades of the last millenium? Your text seems a bit schizoid – asserting that such statements can not be made with much conifidence, yet proceeding to do exactly that. How do you explain the inconsistency? What sort of “tempering” do you think is warranted? I thought that this was a very even handed treatment of the subject. Later in the paper McShane and Wyner develop a Bayesian model which (assuming that no bias has been introduced into the Mann ’08 data) establishes an 80% probability that the decade 1997-2006 is the warmest in the past 1000 years. So they aren’t so much rebutting the hockey stick as they are the estimated error. This is no different than what McIntyre has written (but, IMNSHO, a great deal more precise). I would predict that the team reacts to this paper by ignoring it. If they say anything at all, they will probably note (correctly) that all the existing reconstructions considered by this new paper are consistent with the reconstruction (or model in this paper’s terminology) presented in the paper. Well it depends if they just look at the graphs, or if they read the text. Jason, they are saying that’s what their MODEL predicts. However, they also say that their model is not statistically significant and that the proxy record has little power to predict past temperature (regardless of the model) given the limited temperature record (p. 41). They won’t ignore it. They’ll latch-on to statements along the lines of those you noted (e.g., 80% probability of the hottest decade in the past 1000 yrs) out of the paper, suggesting it “validates” Mann’s publications and conclusions. They will try to dismiss and ignore the rest. It is my understanding from reading your paper that the data you used includes both the tree rings and the Tiljander data from Mann ’08. As you are likely aware, various issues have been raised with this data, and Mann himself has released updated figures based on its removal. I would be VERY curious to learn how your figure 16 is impacted by the removal of this data (both the red line and the error bounds). Thanks again for commenting here. I would also like to see a formal re-analysis excluding BCPs and Tiljander series, although I suspect it will just show a LOT more grey in Figure 16. My congrats to McShane and Wyner on an excellent paper. 45 pages of evisceration and you come up with that? Interestingly, the authors assume that holdout-RMSE (i.e. RE) is the natural way to measure skill. The superiority of RMSE to r^2 in this context is obvious to anyone with statistics training. No need to check Draper and Smith for something this simple! The point that has been made is more subtle. Where r2 was significant it was reported and where it wasn’t it wasn’t reported leaving an impression that r2 as relied on and was significant in all cases. You can argue about the best metric but you can’t rely on a single metric in so far as it’s significant but not where it isn’t. I am sure these two have had their handsome payouts…. Hey, nice ad hom Margaret ! If that’s all you’ve got you’re in kmore trouble than I thought. You know though, we’re ALL still waiting for our cheques, the ones big oil promised us for being “skeptical” and making a lot of trouble for those nice scientists who are just barely getting by on a crust while alerting the world to the oncoming doom ! Ooops, hope I haven’t let the cat out of the bag, but you knew about those promises anyway, didn’t you… ? BTW, you don’t think that Big Oil would welsh on the money, I mean, they promised, they promised they’d give us as much as they gave the “other side”, so we’re all really hopeful of getting millions upon millions, really ! Ed, I think you’ll find Margaret is indulging in “irony” and isn’t seriously suggesting they’re funded by big oil. It was written in response to Tom C at 9.35 outlining the probable response of realclimate — which at the time was close to the most recent post. I didn’t notice the “reply” button else I would have attached my post to it. Blakeley McShane is from the Kellogg School of Management and is obviously funded by big corn. It’s easy to arm wave like I did, but it’s comforting to see quantitative conclusions of greater skill from McShane & Wyner. Steve: If this is the wrong place then please remove to a more appropriate thread but this needs to be made known. Go to Stuff.co.nz where a story has just broken that the New Zealand Science Coalition and the ACT Political Party have lodged papers with the High Court of New Zealand challenging the accuracy of the temperature records of NIWA. They claim the temperature records have been adjusted and that they are unjustified and seek to have them romoved. Data are a given with all their faults, manipulations and adjustments. This therefore eliminates the necessity to cross-over to the climate side. Focus is purely on the stats. Criticisms therefore can only be made by well qualified statistitians. The like of computer games writers, tree ring manipulators and Nick Stokes PROBABLY have no value here. Am I right, that these rather devastating (though not surprising) results were obtained, without even considering the warming baises in the proxy selections and the temperature records ? processing performed by climate scientists meets the standards of their discipline’. With such a brilliant putdown, I can only imagine that they have British heritage. I confess that I grinned from ear to ear when I read that particular gem. The other pleasing thing is (to me at least) that it demonstrates that they are not frightened by The Mann .. and are prepared to have a fight. This barbed remark is almost a direct challenge to him. 1. Natural temperature variability may be large. 2. It’s not the sun (thanks Leif!). 3. Increased CO2 increase temperature. Is it possible to tell magnitude of 3 given 1? Does anyone else detect the overall skepticism of the authors about the statistical feasibility of the entire proxy effort? Footnote 12 is all about stationarity, which is another key assumption. I mentioned the M&W paper at RealClimate on a thread devoted to “expert credibility.” Reply was essentially an advisement to wait and see how the discussion plays out. I can confirm that RC is cognizant of the paper. I don’t see how they will be able to make any valid crticisms. they are not, after all, statisticions, mind you they hasn’t stop them in the past. The paper is focused entirely on the statistical validation of their work. I look forward to their response. Should be ‘interesting’. Yes it is obvious which quotes will picked and trotted out, reading the whole paper leaves a different impression and it is an easy read even for ‘civilians’. It is really funny to see Gavin’s response. From a paper scathing about paleo reconstructions, he actually cherry picks one sentence out of context to support the IPCC conclusions! You have to admire his tenacity. About time! I am still puzzled why common sense never prevailed in this debate. “While,…, it does not predict temperature as well as expected even in sample. The model does much worse on contiguous thirty year time intervals. Sure, and the entire article provides the fullest possible context. Would you have me quote that from start to finish? I believe you are missing the point. Predicting past temperatures with high accuracy and determining whether CWP is warmer than MWP are two very different (albeit related) questions. You may never be able to resolve small temperature differences (less than a degree, say). But the substantive issue is whether you can resolve large differences (of more then a few degrees, say). Quote whatever pasage you like. The fact is this paper is pessimistic on the former, but optimistic on the latter. My impression was completely different. Figure 14 shows completely different reconstruction’s from the same proxy set based on different model building methods. The issue of proxy quality was not addressed. I do not see the paper as optimistic that these issues can be resolved with current techniques. Here, you pluralize and conflate exactly where I attempt to separate and to clarify. Address the quote, not the stuff around it. Your comment does not take into account that one of the reconstructing in figure 14 shows a constant rise in temperature into the past while another shows a flat shafted hockey stick. M&W are not optimistic that any model building technique will be able to find a valid reconstruction. The issue of proxy noise is part of the reason for that they identify for this and proxy selection is an issue that will affect it as well. If Tijlander is included in the proxy set, how will this affect the building of the model? A “valid reconstruction” can mean a lot of things. It means different things to different people. Allow me to deconflate. If the issue is comparing the decade of the 1990s versus all decades of the past millenium, then the authors are clearly optimistic that a confident statement can be made. Because they made one. Should I assume I’m talking with “Stan Palmer” and not “Stan Plamer”? Is this paper internally consistent in its statements? When they say “our model” are they always talking about the same model or do they develop different models to illustrate different points? I got the impression there is more than one model being proposed. By “our/their” model they are drawing a distinction between statistical models that use “pathwise” versus “pointwise” estimation of uncertainty bands. Theirs is pathwise. Others are pointwise. According to them, the pathwise uncertainty bands are so wide as to preculde a wide range of common categorical statements about past climate vis a vis present day climate. “How long should papers be? According to the authors the copy of MW2010 currently making the rounds is a DRAFT VERSION, and AOAS has 20 page limit. Seems that there is quite a bit of editing that still needs to occur. And this is even with assuming the proxy data is perfect! When you account for the limitations of the model they identified and the likelihood of flaws in the proxy data, we are clearly not at 80%, or anything even close. I can’t see how you can read the paper any other way. stephen richards appears to have picked up a scent of internal incosinstency, but he doesn’t provide a specific instance to substantiate his remark. So this is really all about “the divergence problem”. Um, bender, I quoted the same paragraph as Ken Fritsch. Not like you to be this sloppy. SOI, do you recognize these two statements as being internally inconsistent? And if so, how do you reconcile the inconsistency? Steve M has previously described what seems to be a “need to genuflect” for skeptical papers hoping to get published in the mainstream literature. stephen richards has hinted at a possibility of this. Would love to hear from any of the authors of this paper. Adi Wyner, during his too brief visit, noted above that there was going to be a special issue with a response and comments, so I think the pressure was on to be somewhat conciliatory – though the footnotes tend to tell another tale. “The footnotes tend to tell another tale?” Care to expand? Bender, my take is that this paper has something for everyone, although for some there is a little more than others. I think there is a deft genuflect, but then I also think this was a wise move to get their work into the peer-reviewed literature so that they can expand on it. There many issues they didn’t touch on (filtering, in-filling, proxy selection, etc. ), but that was mainly to avoid controversy about those issues. For me, the primary issue remains robustness (as has been discussed by others in this thread), and hopefully these authors will take up that issue later. “Something for everyone” is politics, not science. Do you think the authors would accept your suggestion that they are playing politics? Bender, if they presented *all* the results, carefully and completely, I don’t see how that’s “politics”. They were thorough. When you make logically conflicting statements just to appease opposing groups, this is pure politics, the antithesis of science. My point is that I don’t think there is “something for everyone” here. Wyner was quite clear that he believed the “alarmist” conclusion must be “tempered” in some way. Granted, this is an ambiguous position (since he dind’t sate what kind of tempering is warranted). But it is A position. It is a counter-alarmist position. Net result is there is nothing here for the extreme alarmists. Yes, there are quotes they *could* use if they dared to take them out of context. That would be an incorrect and foolish thing to do. To your first point, in full context, I don’t think they made logically conflicting statements. To your second point, if pulled out of context they could seem to be conflicting, and we can fully expect the alarmists to do that. Because as has been clear for over a decade, they are engaged in politics. There does seem to be some degree of inconsistency. They say, as you point out, that “our model offers support to the conclusion that the 1990s were the warmest decade of the last millennium.” However, if you read their analysis, they clearly think support is weak. I also think it telling that they did not include this observation in the summary. As a fairly direct reply to MBH, does this paper represent a strengthening or a weakening of support for the argument? If the latter then these authors can be fairly accused of wordplay. And if that’s the case, then for what purpose? Why the ambiguity? The authors state that they accepted the Mann proxies and the CRU temperature record as is. They have not addressed the proxy issues which is SMc’s main concern. I presume that the bristle cones, Tijlander etc are in the proxy set used. Those are the polite points. There are a number of less polite ones. Less polite would be confirming that the proxies are about as useful for predicting and hindcasting temperatures as randomly-generated series. I think you’ve totally missed the point of the paragraph you quoted, which is that whilst their “model offers support to the conclusion that the 1990s were the warmest decade of the last millennium”, that is, in toto, a negative thing for the value of the proxies for it to do so. The model is, after all, random data. If a study shows that random choices of stocks made by a monkey throwing darts are as good as the choices of expert stock-pickers, does that mean the stock-pickers are vindicated? At best, and that isn’t much, proxies might only be useful at the site from whence they originated. A tree-ring-proxy originating from a tree at an obscure location in Russia, perhaps say something about the growing conditions for that single location and for that single tree, nothing else. Professor Wyner https://climateaudit.org/2010/08/14/mcshane-and-wyner-2010/#comment-239212 tells us that The paper has been accepted, but publication is still a bit into the future as it is likely to be accompanied by invited discussants and comment. It seems likely that Michael Mann would be one of the invited discussants, and hence that the Hockey Team have been well aware of this paper for some time. If that is the case then one can understand why Gavin et al have been so uninterested in discussions about the proxies recently, and have been playing down the importance of the hockey stick. The most effective slam is one in which the slamee suspects he’s been slammed but cannot quite figure out how it was done. The authors here, very politely, condition their analyses results based on reliability of the data of those climate scientists who labored years to assemble it. They do not even scratch the surface of the selection of proxies, as Steve M has, and do not claim to. Here the authors reference what I view as fundamental to their criticism of the hockey stick and that being that, given the assumptions of “good” data, reconstructions cannot get the sharp run up in the 1990s right. The question then becomes, as it does with “hide the decline, i.e. divergence” whether that failure means that sharp run ups in the past were missed by the reconstruction or alternatively are the recent run ups so unique that proxies are “topping out”. That the authors in the introduction noted that the HS graph with the instrumental record tacked on was misleading was not in my view just a passing remark but part of their criticism later of the reconstruction failures. Below the authors condition the conclusions about the warmest decade in the millennium with again a reference to the failure of the proxies to capture the recent run up in temperatures. Overall this is not a paper that can be judged by taking comments out of context, but unfortunately I think there will be those who will attempt to do it that way. I found lots of good comments and analyses in this paper that have been subjects of discussion here at CA and other so-called skeptic blogs. As an aside, I recall that one of the recent Mann et al. papers talks about, not only the better known tree ring divergence, but divergence of other non-tree ring proxies in recent times. I am too lazy at the moment to look it up but I will in the near future. To me the divergence problem could almost be considered a failure of out-of-sample testing. I was very pleased that authors mentioned in-sample and out-of-sample testing and even the dangers of data snooping. A well-qualified, serious individual on the faculty of one of the leading business schools in the US. This paper will sting. I guess that Gavin did not see the appropriateness of posting to a thread concerning expert credibility. i thought it was a good fit. Loool this was soooo expected from gavin. Cherry picking the quotes, nicely done ! Would expect the team to respond in a couple different ways…they won’t be able to ignore this paper. They will likely continue as they have with past challenges to the hockeystick and vigorously defend Mann et al. Would bet that folks at RC are now scouring the paper for ANY errors, omissions, corporate funding issues, typos, referencing issues or whatever with the hope of finding SOME little nugget to offer up to their readers as clear evidence of error or wrongdoing. Would also expect that there will be a collective groan from RC about the stats “cowboys” using an inferior model to “Lasso” the papers results….that the authors decision to use this method of course results in extremely wide confidence intervals, but that nothing in the paper invalidates their results. BTW: What nice juxtaposition. Mann’s original hockeystick was created as a newly minted PhD. Mann is now (further) being taken down by another young gun. BTW part II: I’ve gotta say, what a fabulous project for a PhD student. The analysis has immediate impact, utility and notoriety. The statistical issues are pretty clear to those trained in statistics…. just need to show the issues formally. It’s also basically free to do! The data is largely already in the public domain (with a lot of work done by others to help describe and document what actually occurred in the previous papers), which means the student can really just work with their adviser on the analysis. Can’t help but wonder if Steve or Roman or someone else might have placed a bug in the ear of a colleague or stats acquaintance about this. If so, nicely done! Would also expect there are many other juicy projects that the budding stats grad student might be able to dive into based on the work of the climate community. Steve and Ross McK have had to shoulder a huge burden over the past few years with the support of a the readers of this blog. Its great to see their work being vindicated. However, why has it taken so long for the statistics community to turn their attention to the Hockey Stick? Elegant, thoughtful, well written. A real contribution. Thanks. The new McShane and Wyner paper due to appear in Ann. Stats. is clearly going to be much discussed, so I thought I would get in with a few comments, after scanning it briefly. Let me say first that it is great news that some stats journals are taking a look at climate reconstructions. Unfortunately the first half of this paper is very silly, and the second half is slightly more sensible, and the most plausible reconstruction they produce…..looks rather like the hockey-stick. In the first half, they take 1200 temperature proxy series (treated as independent variables) and fit them to 119 temperature measurements (keeping overlapping holdout sequences of 30 yearly temperature measurements). Fitting 1200 coefficients to 119 data points is of course hopeless without further assumptions. Instead of doing some form of thoughtful data reduction, they employ the lasso to to the regression directly, with strong sparsity constraints. Both parts of this statement are wrong, and the first part is a MORONIC thing for statisticians to say. They give absolutely no reasons to suppose that the Lasso — a method that makes _very_strong_ implicit assumptions about the data — is in any way appropriate for this problem. The Lasso _is_ appropriate in certain cases where you believe that only a small subset of your variables are relevant. To use it as a substitute for any data reduction with 1200 variables and 119 data points, when _all_ the temperature proxy series are presumed to be relevant to some degree, and all are thought to be noisy, is simply stupid. In the second half of the paper, they do something which is almost sensible, (but less sensible than what the climate modellers do). They take 93 proxy series that go back a thousand years, and do OLS regression on various numbers of principal components of these series. Regressing on just one PC gives more or less Mann’s curve (ironically this is probably the most defensible prediction from all the ones they try)– when they regress on 10, they back-cast historical upward trends. If they were being agnostic statisticians, then I suspect that from the cross-validations they show, the most conservative model they could choose would be a model predicting on one or a very few principal components. Hey presto, they’ve recovered Mann’s hockey stick as a most plausible estimate. As Garfield would say, Big Hairy Do. That’s the bulk of the paper. Some but not all of the points they make about over-tight confidence intervals in the previous literature seem valid. In my opinion they do not introduce any useful new techniques into palaeclimate reconstruction: their main contribution is to show that using the Lasso with no prior dimension reduction is as useless an idea as any sensible person would expect it to be. This paper shows, if proof were needed, that it is possible to get ill-considered papers into good peer reviewed journals, especially if they are on hot topics. I’m sorry but just claiming Lasso is a stupid idea doesn’t prove anything. You are going to need more than arm-waving to dismiss this paper. You certainly have not shown anything of substance in this comment. The Lasso _is_ appropriate in certain cases where you believe that only a small subset of your variables are relevant. As I recall that the whole purpose of PCA is to eliminate irrelevant unneeded (i.e. relevant)proxies. Or if he’s referring to climate variables like humidity, rainfall, temperature, wind vector, etc. then if we can’t assume only a small subset are relevant, the whole proxy idea is clearly worthless. He may well know what he is talking about, but his comment did not prove anything to me. It is easy to make claims about Lasso (which may or may not apply to PCA as well), but a claim does not prove anything. If Lasso is what he says it is, he can provide a citation to show it. Chris at least knows something about the Lasso, and has explained it well. It is a regularisation technique, which has the characteristic that it takes a problem for which you don’t have enough information to find a solution, and you choose a solution on a restricted subspace. What you get depends entirely on what restriction you apply. In effect, you arbitrarily supply the extra information. Their restriction is that they do an OLS minimisation with a restriction on the L1 norm of the slopes (sum of absolute values). Do you have any thoughts on why that is a good idea? Or any substantive comments? Let’s hear it for the Lasso! I have no idea if the Lasso is a good idea or not, but whenever I make a statement like that I try to provide some support for the claim. Chris’s post is nearly void of support. The authors chose the Lasso for a reason. Why was their reasoning lacking? Just saying it is a stupid idea is not compelling. Is there a statistical textbook that says Lasso is a bad idea in this circumstance? If so, how did the paper get passed the reviewers? I thought Chris’s objection to the Lasso was clear enough. It would be fair to ask him to simplify his comment for this audience, but your accusation that his objection was “nearly void of support” is false. Actually, I think Chris’s clarification below is presented much better and his conclusion is much toned down. So, evidently even he did not think his conclusions were well supported. The Lasso with L1 penalty is a stupid idea because it basically selects a small subset of the proxies rather than trying to extract a common signal. This would be a good idea if you think there are a small number of strong proxies hidden amongst a set of not-actually-proxies. Terrible idea if you have a set of weak proxies. Are you suggesting that they “cherry picked” the Lasso, or are you inferring that the proxies are weak and the Lasso was not appropriate? I guess we are simply to accept that the methods of the authors are moronic and silly. How about bizarre? in Figure 12). Furthermore, we are as much interested in how the proxies fare as predictors when varying the holdout block and null distribution (see Sections 3.3 and 3.4) as we are in performance. In fact, all analyses in this section have been repeated using modeling procedures other than the Lasso and qualitatively all results remain more or less the same. Actually the main models analyzed by the authors got most of the instrumental period right (up to the 1990s, but none (even the best, the Bayesian model) could get the run-up to the 1990s correct. Also interesting to note was that the hold outs of the early and late part of the instrumental period gave some rather unique results and, of course, those are the hold outs frequently used by climate scientists. Mann et al. in the original HS paper used one PC, but I believe a later paper needed to use 4 PCs to get the HS. The authors here note that one gets the HS regressing on PC 1 but using PCs 1- 10 and a two stage model featuring one local temperature principal component and ten proxy principal components did not. Of course, the question becomes what is the selection criteria for PCs and does using only one uniquely give a HS. That should be got it right up to the 1990s run-up. I guess I should learn pause and use MUCH more measured and polite language before hitting the “post” button late at night to post a message irrevocably into the blogosphere. 🙂 Sorry about that. My bad. This’ll teach me. What the Lasso does does — intuitively put — is to force quite a lot of the regression coefficients to be zero. This means that if you have (as in this case) about 120 data points, and you have a much larger number of proxy series ( over a thousand), then _if_ you believe that there is a linear combination of just a small number of the proxy series that can correctly fit the data, then a Lasso is a good technique to try. In other words, use it if you believe that there may be a good prediction rule based on a small number of the series. Now, is this reasonable for climate proxies? Well … perhaps … but common sense might indicate not. After all, all, the proxy series are thought to be noisy, and it would seem reasonable (if they can be used at all to predict temperatures) that you would want a rule that combined a lot of them so as to average out errors in any individual series. Hence, for this type of data, it does not seem plausible that taking over 1000 series and selecting a few of them to fit the (short) temperature series is going to produce a good predictor. Well, this paper seems to show that, indeed, using the Lasso doesn’t work well for this problem. That’s a valuable thing to show. It’s reasonable to try the Lasso — but I don’t think we should be surprised that it didn’t work here. Other methods which make different assumptions about the data might work much better. The authors indicate that they tried other methods than the Lasso. In figure 12, they show the results of other methods in comparison to the Lasso. The authors indicate that the Lasso performed as well as these other metihods which include ones used in previous reconstructions. Thank you for this contribution. This raises a good question for Chris, here. What method do you think should have been used given the statistical properties of the data and the goal of temp reconstruction? Is there a method you would intuitively look at first? Is this method one of the ones the authors tested? In figure 14, the authors present backcasts for various methods of methods of model building including the Lasso. One the the main points that the authors are trying to make is shown there. There are three distinctly different backcasts created by techniques that are are equivalent in the validation period. This is a characteristic of the problem. So those people who are saying that the Lasso is a bad thing are misunderstanding the authors. It is very difficult to know which method is a “good thing” if they are all roughly equivalent in the validation period due to the noise in the proxies and the brevity of the calibration period. The authors’ point seems to be going right over the heads of some of their critics. To be clear, the backcasts in figure 14 range from a hockey stick to one with continuously rising temperature. From section 4 onwards, and in figure 14, they consider only 93 proxy series. Using the Lasso with 93 series and 150 data points is far more reasonable than with 1000+ series: in this case, the variable selection does not have to be nearly so extreme as with 1000+ series — but they don’t seem to show the Lasso backcast ! Or am I wrong? I think I am able to follow this comment a little better than the previous one. However, I still do not understand. The authors of the paper agree with you that the number of the proxies is much higher than the number of “target data points.” But I do not understand the meaning of that term. I would think there would be at least 1,000 data points in the reconstruction since it goes back at least 1,000 years. How does “target data points” differ from the data points I have in mind? Thank you again. Makes sense now. My reading of the paper is as follows (please correct me if I am wrong). There are only (approx) 150 years of data of measured temperatures. There were nearly 1200 “proxy series”, which are numbers that are related to temperatures (tree-ring widths and other things). To estimate temperatures far in the past from the proxies, you need to find the relationship between the proxies and the 150 years of measured temperatures. What they did was to perform a regression to find a rule for predicting temperatures from proxies. This rule is of the form “to predict the temperature in a particular year, multiply each proxy by a certain weighting factor (aka regression coefficient), and then add up all these terms to get the estimate of the temperature”. The weighting factors for recent years are then used to estimate temperatures for past years before regular measurements were made. But how to check the validity of their estimates? What they did was to “hold out” 30 years of data from the measured record, and find the prediction rule from the 120 or so (119?) remaining years. Then they can test the prediction rule by seeing how well it predicts the temperatures in the years they “held out”. This is a standard statistical technique for assessing the accuracy of a prediction rule: you construct the rule from part of your data (120 years) and then test it on some other data that you “held out”, and you see how accurate it is. (They did this for all the possible periods of 30 years they could hold out). Now, since there are only 120 or so “known” temperatures, and 1000 proxy numbers for each year, you could fit the 120 observed temperatures exactly with many different choices of 1000 weighting factors. The Lasso is a technique for searching for rules that have most of the weighting factors equal to zero, so that you only consider temperature prediction rules based on the values from a small number of the proxies. If there were a good prediction rule based on a small number of the proxy series — some weight for tree13, lake22, ice core12, etc, and which ignored all the other proxy series, then the Lasso might find it. For some problems where this is a reasonable assumption, the Lasso does great. Well, the found the Lasso was barely able to predict the holdout sets at all. Perhaps this might have been expected — but perhaps it was also worth a try, and at least we now know that it didn’t work too well. Principal components of the 93 proxies used later in the paper seem (according to their graphs) to predict the holdout sets better. Then they apply the rules for the 93 proxies to the whole 1000 years. Using a rule based on one PC of the 93 proxies, they get the hockey-stick. As they include more PCs, they get different curves. Figuring out which is the most plausible curve,l and what the plausible range of uncertainty is, is quite subtle, and I feel that a more careful discussion would be needed in this part of the paper. In particular, there are many more proxy series that go back a few hundred years, and the estimates from these could be used to choose the appropriate number of PCs to use for the 93 series. See figures 13 and 14. Which rule will you pick. How do you know it is a good rule? A hard question — but small differences in cross-validation error is not the only criterion. A natural thing to do would be to try to use (hopefully) more accurate back-casts for a few hundred years to distinguish between alternative models for even longer back-casts. For example, if you can estimate the temperature back to, say, 1700 with reasonable accuracy, then you have some basis for choosing between different models based on just the 93 series which go back much further. But this is beyond the scope of the paper. Section 4 of the paper seems just based on the 93 proxy series that go back 1000 years. If you frame the problem in terms of _just_ these 93 proxy series, as if that was all the information that you have, then uncertainties will of course be larger. Their Bayesian uncertainty estimate might be reasonable — but I don’t know because it is discussed rather briefly. It would be nice to see uncertainty estimates for models with smaller numbers of PCs also – 10 PCs seems a lot to me, and there seems no attempt to pick a ‘correct’ number of PCs other than by cross-validation in the regression. As I am sure you known, there is no instrument record back to 1700, so I am really not sure how you would declare a reconstruction to 1700 ‘reasonably accurate’. Please describe how you propose to do this. This is a subtle and elegant paper. It is not at all clear to me why you appear to believe it can be dismissed, especially since (it seems) you have given little or no thought about what the authors actually concluded. As I said before, if I were you, I would be cautious in my critiques of this paper. The Central England temperature series goes back to 1659. I think you have helpfuly forced a deeper thinking about the paper. I had a slightly different read of the point of the entire exercise, namely, one way or the other legitimate confidence intervals need to be constructed around the proxies, IF you are going to try to use the proxies to construct a backcast. This they did – though I would be interested in hearing your assessment of the reasonableness of these confidnece intervals. As for the data reduction bit – there I think that you cannot possibly and legitimately do it without (a) assessing individual (b) ensuring that the PCs are themselves robust and (c) explaining the nature of the signal in each of the PCs. I think that you may misunderstand the role of the lasso methodology in this paper. They are not claiming that it is the best method to use for the reconstruction. First, we endeavor to judge regression-based methods for the specific task of predicting blocks of temperatures in the instrumental period. Second, we study specifically how the determination of statistical significance varies under different specifications of the null distribution. Furthermore, various model specifications that perform similarly at predicting temperature produce extremely different historical backcasts. The ordinary least squares (OLS) estimates are obtained by minimizing the residual squared error. There are two reasons why the data analyst is often not satisfied with the OLS estimates. The first is prediction accuracy: the OLS estimates often have low bias but large variance; prediction accuracy can sometimes be improved by shrinking or setting to 0 some coefficients. By doing so we sacrifice a little bias to reduce the variance of the predicted values and hence may improve the overall prediction accuracy. The second reason is interpretation. With a large number of predictors, we often would like to determine a smaller subset that exhibits the strongest effects. The two standard techniques for improving the OLS estimates, subset selection and ridge regression, both have drawbacks. Subset selection provides interpretable models but can be extremely variable because it is a discrete process-regressors are either retained or dropped from the model. Small changes in the data can result in very different models being selected and this can reduce its prediction accuracy. Ridge regression is a continuous process that shrinks coefficients and hence is more stable: however, it does not set any coefficients to 0 and hence does not give an easily interpretable model. We propose a new technique, called the lasso, for ‘least absolute shrinkage and selection operator’. It shrinks some coefficients and sets others to 0, and hence tries to retain the good features of both subset selection and ridge regression. I agree with you that it is likely not the best approach and the authors do not claim it to be, but it does seem to serve the purpose for which it is intended. Tibshirani’s original paper original lasso paper included several examples with 50 observations and 1 predictor variable, and another with 100 observations and 40 predictor variables. In comparison, McShane and Wyner’s paper has 119 observations and 1200 predictor variables. Look at how the number of predictor variables is many times larger than the number of observations in this last case. To be honest, I’m not sure whether this is more than the lasso can handle or not. But it is something worth looking into. Does anyone know of a published paper using the lasso in which the number of predictor variables was as large as this, relative to the number of observations? In a 2009 paper appearing in the Annals of Statistics (a different but highly regarded journal), “Lasso-type recovery of sparse representations for high-dimensional data” by Nicolai Meinshausen and Bin Yu, the authors note that the lasso can fail (‘fail’ is an oversimplification, but the idea is that the lasso can run into serious problems) in the presence of highly correlated variables. My ubderstanding is that ‘highly correlated variables’ does describe the situation in this case. So does this matter? Again, I’m not sure. I look forward to the discussion of this paper in the AofAS when it finally appears, as I trust some knowledgeable lasso experts will weigh in on this and shed some light on the use of the methodology in this paper. Better not put it in the pool if you want to minimize shrinkage! One thing that puzzled me – you may have a view. The proxies are a very disparate group, with different scalings, different units. The regression coefficients will have those scalings inverted. Yet the Lasso just seems to sum the abs coefs, in different units. It would be natural to rescale the proxies so that they had the same variances so that regression coefficients of similar importance would be of comparable size. Thanks – they describe X as a scaled matrix, so I guess that is what they mean. It has been implied that the Mann HS depends on a few proxies, like bristlecone tree rings (unfortunately, bristlecones are reputed to be a poor proxy for temperature) and many of the other proxies are merely white noise (or weak indicators, if you like). I am not sure that all weak signal proxies is an apt description of the proxies “selected” for reconstruction. Does using PC1 only, even though it may have no physical meaning, make intuitive sense if we judge that the reconstruction contains many weak signal proxies? Would PC1 somehow zero in on the signal in many weak proxies? I would urge a measure of caution here. Whatever misgivings you might have about the use of the Lasso, these authors appear to have given the problem considerable thought and analysis. There is every reason to believe that the uncertainty limits routinely used in past climate reconstructions are artificially small. I would also remind you that much of the hockey-stick shape in the reconstruction of Mann 08 (and earlier reconstructions) is the result of a small group of proxies which are of questionable validity (bristle-cone pines and Tiljander lake varves). Absent these few proxies, even the methodology of Mann 08 shows a MWP temperature comparable to present day temperatures, very much like what these authors have calculated with their 10-PC reconstruction. In my opinion, the effect of the Tiljander proxies on the Mann08 CPS and EIV reconstructions has to be considered “uncertain” at this time. Thus, it takes running the Mann08 code and doing some tinkering to address this issue. But to my knowledge, few people have done so. Steve McI has emulated Mann08 code in “R”; I believe that he has found that Tiljander is a major contributor. However some RealClimate bloggers (including Gavin, IIRC) have contested the adequacy of his emulations. Jeff Id has also emulated Mann08 code in “R”. He produced a sensitivity diagram that showed very modest contributions of Tiljander; unsurprisingly, they were strongest in the earliest years. But Jeff has cautioned that this work is not definitive. RomanM has also successfuly emulated Mann08 code. I don’t know his view of the matter. The coauthors of Mann08 have not offered any comments on this issue, to my knowledge. As far as I know, no pro-AGW Consensus researchers have reported the emulation of Mann08 code (MatLab or “R”), so I don’t know what their take might be. I would (obviously) be very interested in any informed opinion on this point. Steve: The impact of Tiljander on CPS verification statistics reported in my previous posts is certain at this point. I’ve precisely replicated Mann’s CPS and there is no basis for contesting these results. Mann 08’s twice revised SI graphic shows a reconstruction with neither Tiljander varves nor bristlecone pines. That graph shows a substantially warmer MWP, certainly comparable to the mid-late 20th century. Doesn’t this support the McShane et al conclusions. The paramaters of the reconstrcution problem (noise proxies, brief instrumental period) problem are such that the shape of any proposed reconstruction depends more on the technique chosen than on information contined in the proxies. Fair enough, but this certainly doesn’t refute McShane et al either. The point I was trying to make was that you get a much warmer MWP in the reconstruction from Mann 08 methodology when a small number of questionable proxies are removed. The McShane et al method with more principle components included also yields a much warmer MWP, in spite of including the same questionable proxies in the analysis. Does the inclusion of more principle components effectively de-weight the questionable proxies that generate cooler MWP and HS shape of Mann 08? Sure sounds like it. Thanks, Steve. A question that is different from the Tiljander proxies’ effects on verification statistics is their effects on the shape of the reconstruction spaghetti curve. Any thoughts on that related issue? I’ve done a more careful compilation of the Tiljander proxies, and put up some pretty pictures as a blog post, The Tiljander Data Series: Data and Graphs. Mainly Excel charts, to give people (incl. me) a better chance to visualize what these numbers look like. This would seem to argue agains the recent Frank, Wilson, Zorita opinion piece arguing that expert-selected smaller sets of good proxies would give a better recon than the Mann-proxyhopper way. Not to say that the Mann-hopper works either, we could have an insoluble problem for instance, just that if Frank et al approach was the way to go, why didn’t Lasso show it? Is this via coefficients between zero and one? Or can some of the coefficients be set negative, if that produces a better fit? The more recent availability of Gavin and the less than steadfast support of Mann (I recall here someone even saying he was a known and discounted commodity in the community!) that produced so many posts in the last weeks or so seem well timed with this paper. A very interesting paper. I just wish my statistics/mathematics was up to fully understanding it. However, the writing style makes it possible to follow even without that specialized knowledge – congratulations to the authors on achieving that! I foresee two two outcomes directly affecting the AGW proponents, one negative (from their point of view) and one positive. Negatively, I think that this puts the final nail in the coffin of dendroclimatology. By taking what is supposed to be the preeminent data set exemplifying the hockey-stick effect and showing that when subject to rigorous analysis a temperature signal can not be discerned with any reasonable level of confidence, this particular track appears dead. Positively, much will be made of the claim that rigorous analysis of the data set shows that the last decade has an 80% probability of being the hottest ever (not really ever, but that is what they will say). However, this paper concentrated on the statistical analysis used to generate the hockey stick, not on the data, which is the correct way to proceed. Dissection of the data-set can proceed independently, probably using the techniques from this paper. I agree. The authors had to analyze the data used by Mann in order to get it published in a statistics journal. But a follow on paper should still focus on the statistics but could conceivably use the same data minus the strip bark trees and making the Tiljander series right side up. In other words, just making the changes the NAS has supported and fixing obvious errors. It would be interesting to see what they conclude. Yup. The point is not that one reconstruction is better than another, but that all reconstructions using these proxies are castles in the air. For those of you who do not frequent Bishop Hill’s admirable site, here is my take. Thank you, Steve. I think your efforts are bearing fruit. The new result still looks like a hockey stick. No, it doesn’t. There is an uptick in the 20th century, as would be expected. But it is still lower temps than the MWP. That is the key issue. Today’s temps are not outside natural climate variation. Which wouldn’t be a big deal without the acrobatics of the “team” in trying to suppress evidence of the MWP etc. etc. All well-documented, diarized and debunked. From the looks of things, it’s time to compile data on species evolution and extinction before history is again subject to rewrite by the “movement”. Sigh…. using the data supplied by the team. They say that the first two assumptions are “substantial” and that evidence shows that the third condition is not being met, giving false confidence to the probabilities. Add these uncertainties to the mix, and you have a probability well south of 80%. Their true result is that Mannian and Ammannian results are wrong and proxies pretty poor in drawing any conclusions about the past. Would be very curious to get comments from UC, Jean S., and Hu on how this approach compares to the calibration approach they’ve proposed. I’m not convinced this new paper formulates the problem better than they did, McShane and Wyner just got published in a higher visibility journal. To partake in this dirty little secret, see their Figure 14 on page 30: the blue curve is wiggle-identical and practically a photocopy of Mann’s corresponding EIV NH land curve. As it should be. The higher (green) curve they canonize and which is shown above is the result of an error: they calibrate their proxies against hemispherical mean temperature, which is a poor measure of forced variability. The instrumental PC1 which the blue curve is based on, is a much better measure; its EOF contains the polar amplification effect. What it means is that high-latitude proxies, in order to be made representative for global temperatures, should be downweighted. The green curve fails to do this. Thus, high latitudes are overrepresented in this reconstruction, which is why the “shaft” is at such an angle, due to the Earth axis’s changing tilt effect on the latitudinal temperature dependence described in Kaufman et al. 2009. It is always good to have these handy. Please note Figure 2 in the paper titled “Proxy-based reconstructions of hemispheric and global surface temperature variations over the past two millennia”, by Michael E. Mann, Zhihua Zhang, Malcolm K. Hughes, Raymond S. Bradley, Sonya K. Miller, Scott Rutherford, and Fenbiao Ni. When the authors of McShane and Wyner 2010 show their models not matching the sharp run-up late in the instrumental period, should we be surprised. Is this a feature of Mann et al. 2008 that was sufficiently nuanced and not discussed to go unnoticed until McShane and Wyner showed their model failures? Please note the corrections in the SI and the very frustrating, for me that is, practice of hooking the CRU instrumental data onto the end of the reconstructions. It certainly draws attention away from the reconstructions, both dendro and non dendro, problems with divergence. I’m not so sure. Read the Conclusions on page 37. One would be wise to read all of Section 5.4. The proxies are affected by local temperature (and precip, etc). The local temperatures vary more than the global ones, thus M&S get proxy sensitivities that are much smaller than they should be and noise that is much larger, esp extrapolated out to the year dot. Some of the other procedures may be worthwhile once the calibration about global warming (CAGW) problem is fixed. As their Fig. 16 and 17 show, the end result will be a pretty hockeyish stick. Doing it right will reduce the error bands. Figure 16 looks more like a boomerang than a hockey stick. Figure 17 is only a hockey stick because of the instrumental record, which isn’t confirmed by the proxy data. It appears to me that the above comment is typical of the attitude of overconfidence. There is no global temperature, just an ensemble of local temps. I don’t get. Everything you say may already apply to the calibrating of the proxies whether it be against local or global temperatures. How come we are hearing the issues now rather than when Mann published his papers? What logical or mathematical basis do you have for suggesting that the eror bands will get narrower? For sure it looks like they cannot get much wider until of course we start looking at some of the proxies like BCPs, Yamal, Tiljander and Gaspe. Re: Bernie (Aug 16 21:25), I agree. One of the problems that has been repeatedly pointed out here and in HSI is the different standards as applied to the Team or skeptics, with explanations that they knew this after the fact. The example I like to use is when Briffa was quoted last year stating that paleo’s “are” working to solve divergence problems versus the misleading graph indicating that they had solved the issue, just failed to mention it, except in other places. Perhaps our host would compare Eli’s to Mann’s MBH98 defense where he would deny M&M and then would admit it obliquely later, incorporate it later, or came up with a rule he didn’t follow as one that he actually did, though of course, he didn’t. All of these are well documented,especially Mann in the HSI. This is all you are qualified to do, so please stick to the script. I’m waiting for Eli to do it right. Thats the stock response to any criticism of a Mann paper, so it’s a fitting response to Eli’s criticism of M&S. Steve is not allowed to criticize mann or jones without doing his own. therefore, eli is not allowed to criticize M&S without doing his own. See how silly that sounds. Re: Steven Mosher (Aug 17 03:17), I was just thinking about what Eli said, I think if you accept what he says, the conclusion pales the Mc&W10 paper. The problem is divergence. Especially divergence in the polar region.For Eli to be correct, one would need to see the same 3+/- sigma in ring widths around the start or end of the MWP at the poles or conclude that the data cannot be used. In other words, these “flat” periods are not just flat, they are non-stationary. And because of polar amplification and divergence, the area where we need the most accuracy and stationary, is the least. I think the Deltoid comment has similar problems. The instrumental PC1 which the blue curve is based on, is a much better measure; its EOF contains the polar amplification effect. Doesn’t an EOF have to be demonstrated to be accepted. Has anyone demonstrated that the instrumental PC1 contains the polar amplification effect? And if it does, why would one need to down weight high latitude proxies? It is though the paper has two problems, if it doesn’t weight the polar it is physically wrong, and if it does, it is physically wrong!?! nitpick, but please don’t pick up Eli’s bad habbit of naming the paper M&S. It’s M&W. Or at least, McS&W. Doing it right will reduce the error bands. One of the main points of this paper is that the more right you “do it” (estimate confidence by including key uncertainties), the WIDER the bands get. Which is the exact OPPOSITE of what Eli prays for. Do you actually believe any of what you say? Maybe he believes it when he says it. But it seems that a lot of what he says is so reactionary that it is likely to not be entirely grounded in fact. I have pointed out two cases here. Did Eli Rabett just say – in essence – that the reason random proxies match well is that the instrumental record is not significantly different to trendless noise? Nah. The Eli Rabett I know would *never* claim that. Must be a fake. Well sure, but a a conclusion is supposed to be a conclusion. I didn’t write it, they did. If you want a “conclusion”, read the friggin Conclusion (Section 6). Section 6 Conclusions is the section I’m talking about. So it looks like they aren’t sure about the handle, but suspect there may be a blade. They say in the abstract and at the end of sec 5.4 that since the proxies dont capture the late 20th century rise they could well have missed earlier similar events as well – a point made regularly by skeptics. And in the conclusions they say the long flat handle is a feature of the regression. My guess is that the “Nevertheless” sentence tagged on to the end of the paragraph may have been added later to satisfy an unhappy reviewer. The ‘nevertheless’ comment may be to satisfy an unhappy reviewer, nevertheless, they specifically disown any validation of the data themselves – they were only concerned with statistical analysis. Any ‘shape’, however it appeared in graphed results, would be a function of that data. If the paper passes peer review (and it might have) then the next focus has to be on the data quality with all that that implies. I was wrong about that. McShane’s website clarifies that the version we are reading is BEFORE refereeing, even though it is hosted on the journal’s website (which is not usual journal practice). The paper has been accepted, but the final version will be different – it will be interesting to see in what way it is different. The “80%” is not a conclusion. It was a calculation from a model that they acknowledge (and demonstrate) has significant weaknesses that create false confidence. As John M, points out the 80% is not in the conclusion (nor is it in the opening summary). It is disingenuous for anyone to claim that the 80% likelihood was a finding of the paper. And there is no getting around that. The power of the hockey stick was always in the handle/shaft. If that disappears, then the AGWers can no longer airly dismiss natural variability as a contributor (note, this does not require it to be the *only* contributor) to modern warming. Few skeptics dismiss C02 entirely. The real question is what percentage do natural variability and UHI/land use changes play. The models, by assuming it is all C02 up to now, drive their forward predictions likewise. If it turns out that recent past C02 warming was overstated by assigning NV and UHI driven warming to C02, then forward predicted C02 warming is overstated as well. These are multi-trillion dollar questions –even if amelioration is still required in a more realistic assessment of C02s contribution to warming, it could be much less expensive and taken over a longer-time frame. If there is an instrumental blade today that the proxies don’t capture, then there is a good chance there were similar blades in the past that were also not captured. Or did you not read the paper? I see PaulM already pointed this out. But I note Max_OK hasn’t replied. This is your cue, Max_OK. This is not correct. You have to explain, for example, why the hot year 1998 was hot. Remember that it showed hot globally, that it was hot on thermometers and that it was hot on satellite records. That’s not noise, that’s a mechanism at work. Having accepted a mechanism for 1998, which other years do you ascribe to mechanisms, before you finally get to noise? What is more, by using 1998 in your calibration period, you bias your hindcasts because you have no idea if the mechanism of 1998 was repeated in the pre-instrument reconstruction period, how often, when or to what degree. Right, what Eli R says about flatness isn’t right, unless you believe that the proxies work better with auto-correlated temperature patterns (trends). If so, please explain the physics behind that. In other words, would the proxies have a higher correlation with an annual temperature series of (+1,-1,+1,-1) or (1,1,1,1)? Why? What are the physics behind that? It does makes sense that the proxies should work better with *larger* temperature movements, as that should drown out the other confounding factors, but as we have seen during the late 20th century they don’t. In terms of the local vs global calibration issue, it would be interesting to see things done both ways. What he should have said is that in such a situation a *stationary process* is the best description of the variation. In fact, random noise is actually the WORST possible stationary model to describe the variation! The amount of variation described by this model, in the long run, is ZERO. Hard to imagine how you could invent a worse model. Is anyone actually going to post an analysis of the paper here?? Maybe as soon as someone shows up who is actually capable of understanding the paper. Most of what we’re getting right now is the usual partisan spin from both sides. I would disagree. There will always be partisan comments, but we have had some thoughtful comments that come down on both sides of the reconstruction controversy and some putting others’ comments into context. At some point readers here have to make their own conclusions. 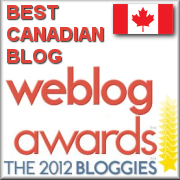 Of course, I am biased in favor of doing paper reviews and comments on blogs such as CA. I mentioned above that former Australian Statistician Ian Castles, who took on the IPCC several years ago, died two weeks ago. Here’s a link to a paper on Castle’s stoush with the IPCC, which will not surprise readers of CA but shows that their malpractice extends beyond what is discussed here. The link you supplied is not working for me. Please can you re-confirm it. Does any one else have trouble understanding what the authors mean by “ten repetitions of five-fold cross validation,” which they use to find their Lasso lambda parameter? I believe they mean they selected 10 values of lambda, tested each with 5-fold cross-validation (ie 5 disjoint 80/20 splits of the data, train on the 80, test on the 20), and kept the value of lambda that yielded the lowest test error. Thank you for the response. That certainly sounds right as to the “five-fold” part. The “ten repetitions” part sounds plausible, too, although if that’s what they meant it seems slightly odd that they didn’t give the list of (somewhat arbitrarily selected) lambdas from among which that procedure chose. They should have mentioned the lambda values and also shown the impact of the choice of lambda on test error. That may be in the supplementary material. Typically the test error is not particularly sensitive to the choice of lambda: eg if the best value is 1 the 1/2 or 2 do just as well. McShane and Wyner (MW 2010) do a good job of showing that the proxies used in Mann et al 2008 (M08) do little better at explaining the instrumental record than random noise. However, I don’t think their paper should be held up as an example of how proxies should be calibrated to temperature. First, their basic regression is one in which temperature is the dependent variable and the proxies (or proxy PCs) are taken as independent variables. This would be appropriate if treerings etc were the dog that caused global temperatures to wag, or if one had a strong prior that the calibration temperatures represent the distribution from which the temperatures to be reconstructed are drawn. But if temperatures are the dog that causes proxies to wag, and/or if one does not wish to presuppose that pre-instrumental temperatures look a lot like the instrumental ones, it is instead appropriate to use what CA’s UC calls “Classical Calibration Estimation,” or CCE. In the univariate case, this amounts to regressing the proxy on temperature and then inverting the OLS estimates to obtain the ML estimate of temperature given the proxy. The MW opposite procedure is what UC calls Inverse Calibration Estimation, or ICE, since runs the regression backwards from the natural way. Computing confidence intervals for the CCE estimates, and merging multiple proxies into one estimate is a complicated issue that I have written on at: http://econ.ohio-state.edu/jhm/AGW/Thompson6/Thompson6Calib.pdf , and don’t wish to go into here. However, in the single proxy case, ICE point estimates are just attenuated versions of the CCE estimates, by a factor of R^2. In the multi proxy case, one would expect the ICE estimates to be similarly attenuated versions of the Brown multiproxy CCE estimator. This over-attenuation of ICE estimates may in part explain why MW find that the proxies have a hard time explaining the recent 30 year runup of instrumental temperatures. It also means that even their backcast model (Fig. 16) may actually have too little amplitude. Second, I am not familiar with the “Lasso” procedure for dealing with the situation of more proxies than observations and so am wary of it. I am more comfortable with PCA as a method of dimensionality reduction. Even there, however, there should be a careful sequence of data-mining-adjusted t and/or F tests to determine how many PCs should be retained — just applying stepwise regression to the first 20 PCs or whatever sounds like data mining to me. And third, I don’t see that the “Bayesian” model of section 5 adds anything to a naive ICE regression of temperature on the proxies, and may even raise additional questions. MW’s essentially uniform prior on beta just gives OLS ICE point estimates back again as the posterior mean, and so makes no difference. A potential problem, however, is that MW’s essentially uniform prior on sigma favors higher values of sigma than the standard uniform prior for log(sigma) (advocated eg by Zellner, Intro to Bayesian Econometrics 1971). With a sufficiently large sample, the prior eventually gets dominated by the data, but with a limited sample, this can make the CI’s too wide. The standard uniform prior on log(sigma), on the hand, will just give the standard Student t distribution back as the posterior distribution. I only use a Bayesian approach in my paper because I can’t figure out how to get CI’s otherwise. Of course, the big problem with M08 is their proxy set, which is dominated by spuriously HS series like Tiljander. MW just take this set as given (after reducing three highly correlated Tiljander series to just one to avoid computational problems), but find plenty of purely statistical problems even without questioning the data series themselves. Shouldn’t that be data snooping. I tend to lump the two together, but I see that there is a big literature on “data mining” as contrasted with “data snooping”. Hopefully the former isn’t just a high tech, white collar crime version of the latter! Thanks Hu, for walking us through CCE and ICE again. It’s unfortunate, but to get published in these statistical journals I guess something has to be done that is novel methodologically, even if it isn’t optimal. But like you stated, at the end of they day, MW found some serious deficiencies in the approaches used by the climatologists without even touching on the most glaring errors. Please, we have had enough of guesswork in this field. The Stat. journals are open to your perusal if you so desire. Hu, you should (if you haven’t already) e-mail this to McShane and Wyner, since I believe their paper apparently hasn’t been finialized yet (although it will be published soon in some form). Perhaps they could address these comments in some way, if it isn’t too late. But if temperatures are the dog that causes proxies to wag, and/or if one does not wish to presuppose that pre-instrumental temperatures look a lot like the instrumental ones, it is instead appropriate to use what CA’s UC calls “Classical Calibration Estimation,” or CCE. I think I got “CCE” from Williams 69, also called indirect regression (Sundberg 99), inverse regression (Juckes 06), controlled calibration. ICE is from Krutchkoff 67/Williams 69, direct regression (Sundberg 99), natural calibration. I’ve been thinking about the assertion that random, non-climate related numbers are as good or better at predicting–more specifically, what it would mean if random numbers were actually more predictive. Would this imply that the proxies were anti-correlated with post-98 temperatures, at least within the existing models? More pointedly, would this suggest that the models were designed for a purpose inconsistent with predicting temperatures? Or would this simply suggest a complete lack of correlation, combined with a bit of bad luck to have lost, in effect, a coin toss against McShane’s random series? Hu above has the best explanation. Beyond that, a random walk is a random walk. Thanks, but I’m afraid I don’t follow your point. Perhaps I should try to express my question differently. How is it even possible for something to be less predictive than an unrelated random number series, which, I presume, has, by definition, zero predictive power. I don’t understand the concept of negative predictive power. A stopped clock is right twice a day, but is the least useful measure of time that exists (tied for worst with random numbers). A clock that’s 12 hours off (or six hours, in the U.S.) is the most “wrong” it’s possible to be, but is actually an outstanding way to tell time, once you detect the anti-correlation (or, if you prefer, properly calibrate). So was McShane just being verbally sloppy when he identified a possiblity that the proxies might be less predictive than random numbers, or is there some technical meaning that I don’t appreciate? Essentially they are saying that there is close to zero correlation between the metrics derived from the proxies and the temperature record, which is exactly what you would expect from a run of random numbers. The MW research is calling into question the supposed link between the proxies and temperature over a long period. A broken clock would also have a very poor correlation with the correct time. McShane says ‘less predictive’ this is not the same as having negative predictive power. Random noise will result in the model having some positive non-zero predictive power. Of course this is a bit of an artifiacal concept, but it is a lot like saying that the probability that a single monkey could randomly type characters in a pattern that exactly matches Hamlet is >0. Random noise results in the model having a predictive power of ‘x’, where x is greater than zero. Mann’s proxies result in the model having predictive power ‘y’ where y>0. X>Y, that’s all. * that the “signal” is well in the “noise” and at this scale, we cannot extract anything meaningful (yet). It seems to me that any significant difference from the random series indicates that there is some data that we can extract about climate, but we just don’t have the right model (yet). Yes, they use a suite of random series (the grey dots in Figure 10). Bingo. Although “we” in this context should read “M&W”. Given the lack of predictive power, I’d suggest “we” means everyone! The lack of predictive power is specific to the lasso. It doesn’t generalise to other methods. I believe that is mistaken. M&W find no model that has meaningful predictive power. So it’s my premise that’s false: “random” doesn’t mean “zero predictive power.” That leads me to believe that “predictive power” doesn’t mean the same thing to physicists (which I am) and statisticians (which I am not). Yes, I would expect a series of random numbers to have some non-zero correlation with any measured variable, say, global temperature means. But that result follows from the density of numbers, more than anything–another way of making your monkey-and-typewriter point. But it should have zero predictive power, because that non-zero correlation is (by definition) false correlation. Any resemblance to past observations will vanish during the next round of observations. Unless, I suppose, there is auto-correlation in both the independent variable (plausible) and the random series. And perhaps there’s the point of confusion, because while I can understand the concept of a “random series” that is auto-correlated, it’s not what I’d normally think of or mean by that term, but perhaps mine is an unrealistically narrow definition. QBeamus- I think you’re right- there’s either auto-correlation in both the independent and random series, else both are non- stationary. When I saw that figure 4 graph in the MW paper, I was astonished. I generated a few non-stationary random walks of about 25, ran correlations, and got unbelievably high numbers. A good chance means “maybe”, not “for sure.” That’s why I said they aren’t sure about the handle. Unlike some people, M&W have an appreciation for uncertainty. McShane & Wyner are not too happy with the data either? Blatant error in Figure 17: M&W compare annual errors from their backcast to multi-decadal errors in the Mann08 reconstruction. Of course they’re bigger! Can anyone explain why it was valid for Mann08 to smooth the errors into a multi-decadal melange? Of course the error bars for a multi-decadal average are going to be narrower than annual, but why should annual proxy information give a 40 year smoothed graph? So…what would the statisticians in the room say to these comments issued by DeepClimate? Would anyone like to comment on that discussion? On Aug. 20, RealClimate.org published some brief remarks on M&W10 in “Doing it yourselves”. Intriguingly, the RC authors chose to focus on the Tiljander proxies, showing M&W10-style “Lasso” reconstructions that included and excluded the Lake Korttajarvi varve series data. The RC figure is based on M&W10’s Figure 14. As best I can tell, the three traces in Fig. 14 are built upon all of the proxy series in Mann08 — not only on the Non-Dendro proxies. If so, the RealClimate figure is not informative. I submitted a comment on these issues to Realclimate.org last night, when the thread’s count was up to #41. So far this morning, 10 new comments have been released from moderation in three batches, but mine is not among them. I’ve made a copy into a post at my blog, “A comment on M+W10 submitted to RealClimate.org“. Thanks for the update AMac. On one hand, RC mocks people “obsessing” about Tiljander, and on the other they throw up a meaningless strawman graph and nix your comment. IMO not real smart when still in the aftermath of Gavin’s admission, Mann’s SI, and recent blog discussions. Mosh’s 2+2=4 post now needs to be updated. Within the hour, my comment passed moderation, and was slotted into position #42 (the comment count is currently at 60). Not surprisingly, Gavin Schmidt has provided inline commentarry and rebuttal. M&W point out that they tried multiple model building methods and all of the produced results that were just about as good as each other. These models then produced quite dissimilar reconstructing. They identified the issue as the brief period available for calibration. Would it be possible to improve their method by selecting techniques which build good models against regional proxies for areas in which the temperature record is known qualitatively. So if the proxies in western and northern Europe are used to build models and some of these models produce reconsturctions that yield the MWP and the LIA, would this not provide support for the reconsturctions produced by this method for the entire northern hemisphere. Conversely if the proxies cannot produce a MWP for Europe, which is known from historical records, then would this not indicate a failure in the proxies? Eduardo Zorita has a number of criticisms of the McShane and Wyner draft <a href="http://klimazwiebel.blogspot.com/2010/08/mcshane-and-wyner-on-climate.html&quot; Here. Zorita thinks they need some professional climatology input. There are some interesting comments at Klimazwiebel. I hope some of his criticisms will be addressed when the paper is actually published. I really don’t know why linear trends are so often assumed when curved ones often fit better. Steve: satellite failure, I think.